Colourfield is an investment business that takes a scientific and academic approach to investing, using cutting-edge technology and the world’s foremost analytical models and theory to help increase the certainty of accurately determining and achieving the specific financial goals of both institutions and individuals. Alexander Forbes Group Holdings is a financial services group focusing on employee benefits, financial services and investment solutions for institutional and individual clients. Alternative Prosperity is a majority black-owned company that offers products and services in Responsible Investment, Transformation and Sustainability. ARC Health is a private investment company, majority owned by ARC and managed by ARC Health Managers. 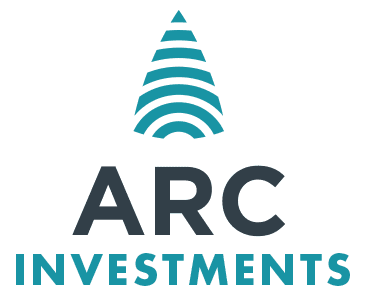 ARC Real Estate ("ARC RE") is a joint venture between ARC and Signature Investment Holdings. Autoboys Holdings is a private company consisting of three businesses, primarily in the auto parts and glass replacement industry, entailing Autoboys Glass Services (ABGS), Autoboys Automotive (ABA) and Parts Portal (PP). BKB is an established business in the South African agriculture industry. It is best known for its activities in the wool and mohair market, however, it is a well-diversified business with a national footprint. Bravura offers astute and sound financial solutions underpinned by an independent and flexible approach, as well as rigorous risk management practices. Capital Appreciation is a JSE-listed Special Purpose Acquisition Company that acquires companies with promising growth potential. Constellation Capital is a research and broking business in the South African equity and currency derivative markets. EBS International combines robust, scalable and dependable technology with a highly focused commercial strategy. Edge Growth is a leading enterprise and supplier development firm that focuses on strategic partnerships between business and SME development, commercial leadership and enterprise development strategy. Elandsfontein is a subsidiary of Kropz SA Pty Ltd, an explorer, mine developer, miner and supplier of phosphate rock in sub-Saharan Africa and worldwide. EOH is the largest technology services company in Africa, and has a wide range of industry consulting, IT services, software, IT infrastructure, industrial technologies and business process outsourcing solutions. Global Asset Management specialises in arranging debt and mezzanine capital for large infrastructure projects. Humanstate is a collection of companies and brands including PayProp, as the largest commercial entity, as well as GivenGain and the GivenGain Foundation. Indwe Risk Services is an independent South African short-term insurance broker that provides personal insurance, business insurance and specialist risk consulting services to private, commercial and corporate clients. LifeCheq offers holistic, goal-based and fully independent financial advice to professionals and entrepreneurs. Majik Property Holdings is a property holdings company registered in the British Virgin Islands. South Africa’s first globally compliant Carrier Ethernet 2.0 open access fibre network is owned and operated by Metrofibre Networx. It enables internet service providers to offer high-speed internet to their customers. The Ooba group comprises of companies that provide mortgage originator services that assist home buyers with sourcing bond financing for residential property. Rain is intended to be a "full service" Mobile Network Operator, focusing on data as a primary offering. Santam is an authorised financial services provider that offers short-term insurance. Sinayo Securities specialises in the equity sales and trading of listed South African companies. It provides quality services to institutional investors. Sinayo Securities is majority owned by black women and Level 1 B-BBEE. Val de Vie Estate is South Africa's premier residential estate. Located in the picturesque Paarl-Franschhoek Valley, the estate is known for its world-class polo facilities, Jack Nicklaus Signature Golf Course, mountain bike trails and wine cellar. © African Rainbow Capital Investments. All rights reserved 2017.